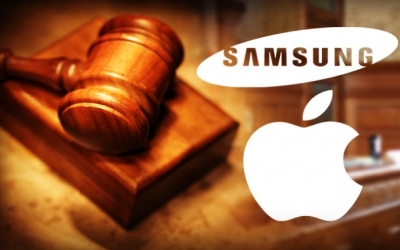 Apples request to ban certain Samsung products amid last years patent court battle might be back on the table. A federal appeals court said on Monday that U.S. District Judge Lucy Koh erred when she denied Apples request to ban 26 Samsung products found to have violated Apple patents, The Wall Street Journal reported. The appeals court agreed with part of Kohs ruling but said she should review the evidence given by Apple and reconsider her decision to deny Apples request for a product ban. In August 2012, a jury found Samsung guilty of patent infringement, resulting in an award of $1.05 billion in damages. However, Koh agreed with Samsungs argument that the damages were sufficient penalty and that a product ban was not warranted. In March, Koh vacated $450 million of the original damages, meaning Samsung will have to pay at least $600 million in damages. But a new jury is currently trying to decide how much more Samsung should have to pay. Apple wants $380 million, however, a Samsung expert said on Friday that the amount should be only $52 million.